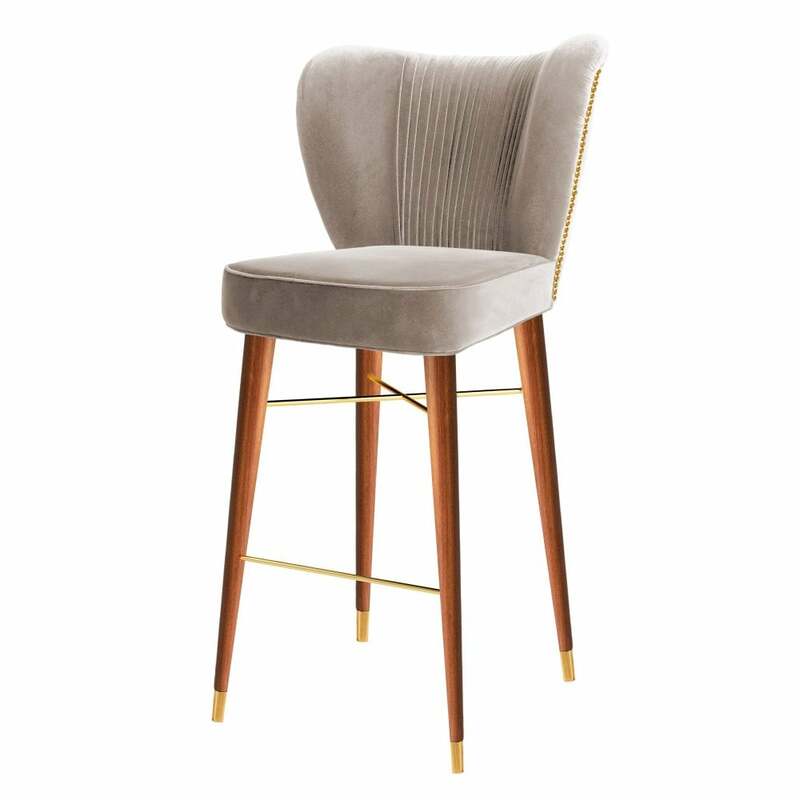 Combining both decadence and mid-century modern style, the Visconti Bar Chair will bring a touch of glamour to a kitchen island or home bar. Inspired by the master of cinema, Luchino Visconti, the bar chair takes style cues from the golden age of Hollywood with luxurious velvet upholstery and glossy finishes. The contoured backrest and deep seat is supported by long legs hand-crafted from walnut wood and complemented with polished brass feet. Part of the Century Collection by Ottiu, this statement bar chair is available in a range of fabric and colour options. Make an enquiry for more information.